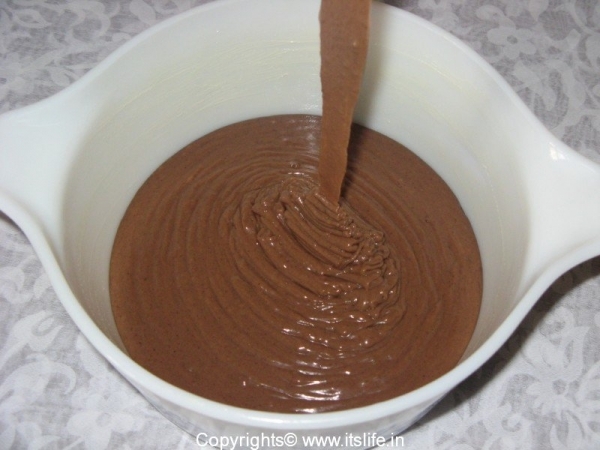 Sieve Cocoa Powder, Plain Flour, Baking Powder and Cooking Soda. In a mixing bowl mix Butter, Milk, Condensed Milk and add the mixed flour and fold in. Grease a baking dish and pour the mixture into it and bake at 160 degrees for 50 to 55 minutes. Remove from oven and let it cool. 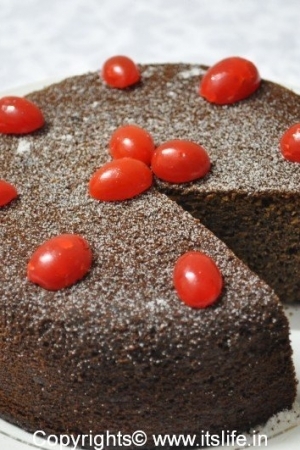 Dust with sugar powder and decorate with Cherries. 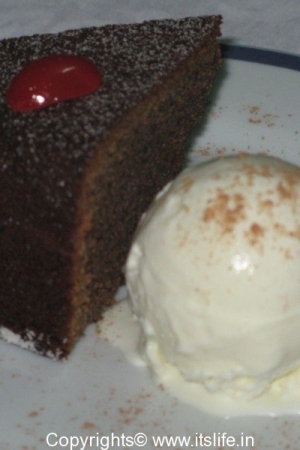 Serve a slice with a scoop of Vanilla Ice Cream. 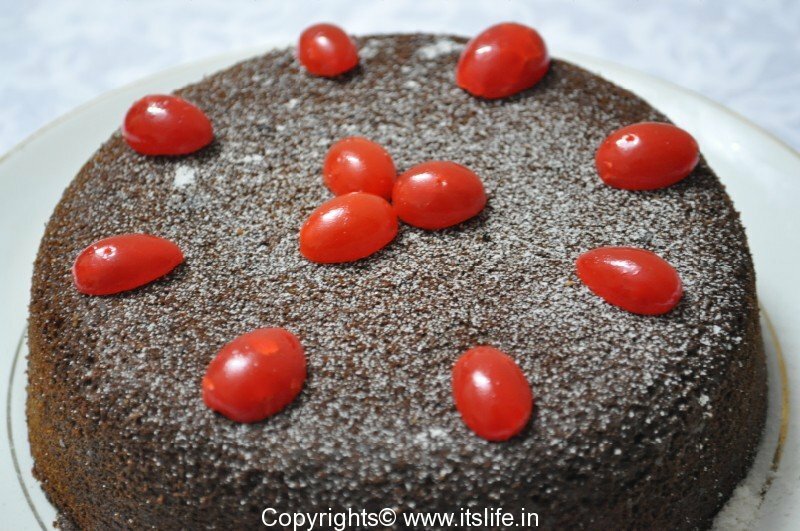 Hi, I tried your chocolate cake recipe yesterday but somehow couldn’t achieve the same result as you, my cake clearly wasn’t looking that good (atleast it tasted good). What sort of chocolate are you using? Maybe it’s because of the flour I used, i’m gluten intelorant so I used amaranth flour instead of usual wheat flour. Hi Cleo, I used refined flour known as Maida. Hope it turns out good next time. 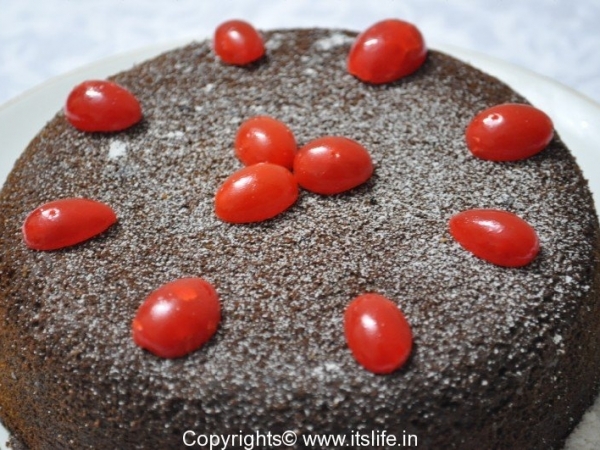 It is a very simple and easy recipe…….. The cake turned out to be perfect!! I made it for a party….. ppl went mad and rly loved it! Thank u very much……. I actually made muffins out of it instead of a cake. I also added abt half a cup of walnuts, 1/3rd cup raisins and abt 1/4th cup cashews. All chopped and broken to bits……. 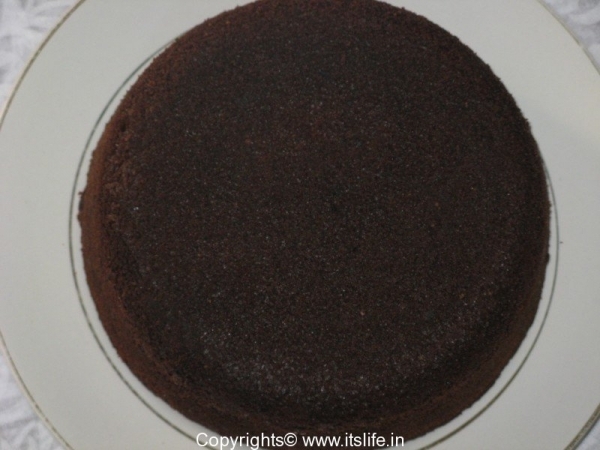 I am so glad that the cake turned out well. Adding fruit and nuts must have enhanced the taste. I only Have a Microwave. For How Much Time Should I Bake It In the Microwave? Sorry, I do not have a microwave 🙁 , so I do not know for how long this cake has to be baked in a microwave. I will update this recipe when I bake it in a microwave. 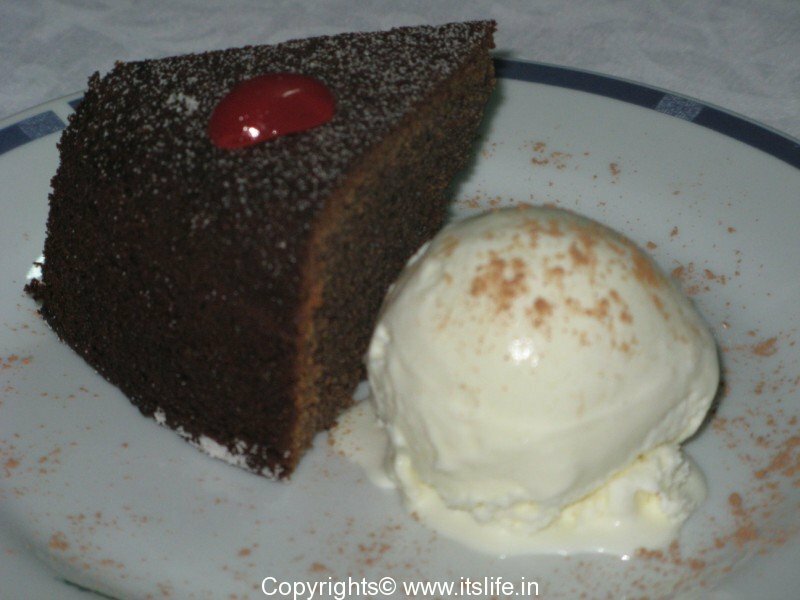 Wanted to check with you if you have tried eggless molten lava cake? If so, could you please post the recipe. 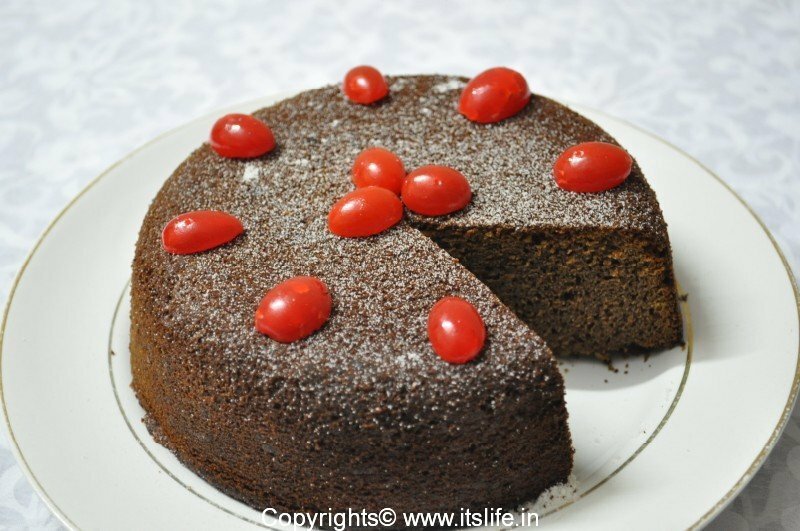 I have never tried the cake your mentioned. Sounds interesting and yummy!